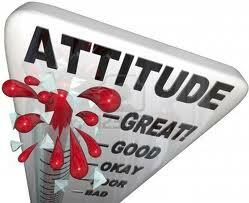 As a salesperson working in the Oil and Gas Industry for a service company selling ,i.e Drill Bits to a potential customer that you found and he/she has agreed to meet with you to discuss how you can help them .Before meeting with them have you done a self check to see where your attitude is? Why you say, because they are an important customer, I say. I know you have many things to consider, like how you are going to open and close, of course there is all this information you are planning to go through. Roller-cone drill bits, each tailored according to the varying properties of rock types. Then there is, tooth bits which are used for softer rock layers and yes there is Insert bits on the other hand used for very hard rock type. Of course you have to remember that there is the more expensive diamond drill bit which costs more than the roller cone bits. My point is while its important to know your product and you should communicate in a clear effective manner, how are you differentiating yourself from the competition? Because in regards to your product the competition has a pitch for their product as well. How are you making your important customer feel, is your tone uplifting? Have you given value, other than what you are selling (all about you). Have you shown empathy if and when necessary? Regardless of whether you made the sale or not. Did you leave them feeling better about themselves to the point where they would genuinely want to meet you again get to know you better and do more business with you and refer you to their business associates. Stop being fixated on closing, why are you even thinking about closing. What if your customer was planning on three additional orders later on in the year, are you going to re-open because you already closed. No!! Are you with me? Gordo Byrn,2002 world champion, Ultraman, a 323-mile, Triple Ironman Triathlon-said: “Satisfaction comes not from the achievement but in how we acted through the process. Medals and trophies simply serve as reminders of the journey.” I want you to get your well deserved award, because you work hard, why not have it with a great attitude.